////////////////////   /////////////// /////////////////  ////               /////////////            ? ???? //                        /////        //                ////               /           //          ?          ? ///////////               ////         //////////////   ////               /            ///                     ? //                        ////        //               ////               /             ////                  ? //                       ////         //              ////               /             ///                  ? //                    //////////////  /////////////// /////////////////// ////////////                     ? This my first Doom wad file I have created. I created it by using Deu 5.0. The level is pretty difficult. All it is is you and every creature in the game (except the spider demon) in one large pentagon room fighting to reach the end. Every weapon is also located on this level so it makes things easier when you reach the other levels. I have included starts for all players so you can play this level over a network or modem (Deathmatch!!!). Each wall of the level has different designs on them so some of them might be screwed up. 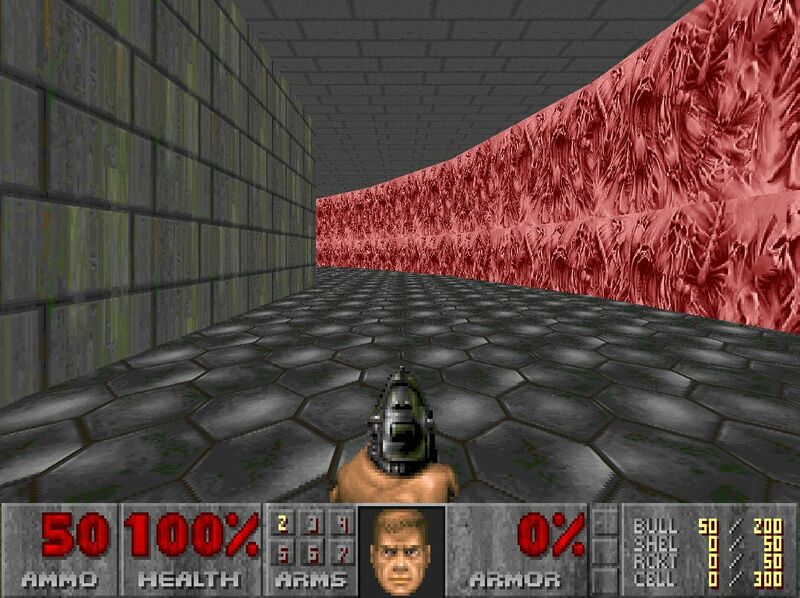 I tried to add the goriest and most violent walls into my level so everyone can have more fun. There are no doors but plenty of walls to hide behind. Have fun!! It replaces E1M1 so you can start off with it in Knee Deep in The Dead. Also, it does not work with the shareware version. Only works with the registered version.